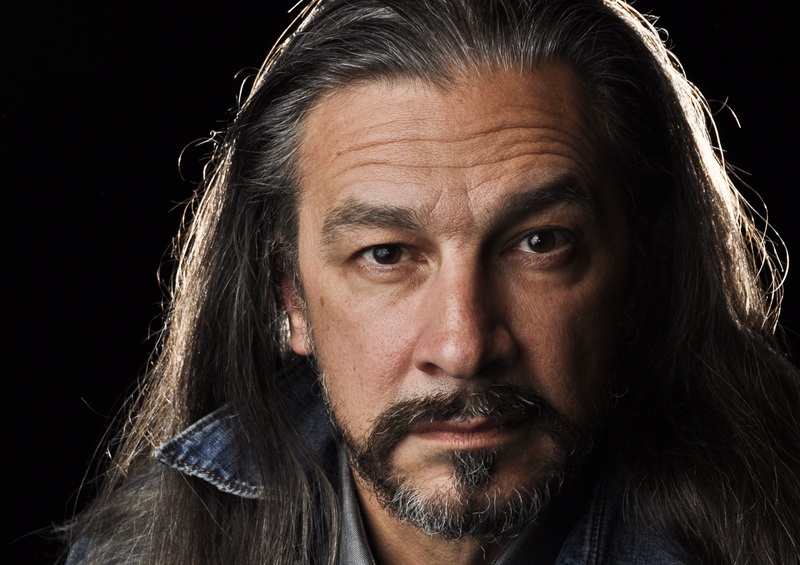 Greer Grimsley is internationally recognized as an outstanding singing actor and one of the most prominent Wagnerian singers of our day. Continuing his reign as a leading interpreter of the god Wotan, he sang the eminent role for The Metropolitan Opera’s Der Ring des Nibelungen in Robert Lepage’s landmark production, directly followed by Stephen Wadsworth’s production for Seattle Opera, his 3rd complete Cycle for the company in the last decade. His interpretation of Wotan has also brought him to multiple esteemed international opera houses; some highlights of this include his portrayal of the role in the entirety of Der Ring des Nibelungen with Deutsche Oper Berlin; Teatro Comunale di Bologna, under Gatti’s baton; Gran Teatre del Liceu in Barcelona, New National Theatre Tokyo, and the Nikikai Opera Foundation in Tokyo. His treatments of some of Wagner’s other greatest characters earned him critical acclaim both domestically and internationally. Including the title role of Der fliegende Holländer with Seattle Opera and Ravinia Festival, under the baton of Maestro James Conlon in his final performance with the company; Telramund in Lohengrin with The Metropolitan Opera, Royal Danish Opera, Lyric Opera of Chicago, and Seattle Opera; Kurwenal in Tristan und Isolde with Prague National Theatre, Royal Danish Opera, the Ópera de Bellas Artes in Mexico, Lyric Opera of Chicago, and Seattle Opera; and Amfortas in Parsifal with The Metropolitan Opera. This season, Mr. Grimsley reprises his signature role of Wotan in Der Ring des Nibelungen with San Francisco Opera, sings the title role of Macbeth with Opera San Antonio, Kurwenal in Tristan und Isolde with Gran Teatre del Liceu in Barcelona, Pirate King in Pirates of Penzance and is featured in the end of the season concert for San Diego Opera, Orest in Elektra in Houston Grand Opera, Scarpia in Tosca with Michigan Opera Theatre, and sings excerpts from Die Walküre with Pacific Symphony. Future engagements through 2020 include multiple returns to The Metropolitan Opera as well as the Dallas Opera and Teatro Real in Madrid. Notable US engagements over the last several seasons include the role of Scarpia in Tosca with San Diego Opera, The Metropolitan Opera, Los Angeles Opera, L’Opera de Montreal, Portland Opera, Pittsburgh Opera, Opera Colorado, and in a return to Seattle Opera; the role of Jack Rance in La fanciullla del West with Minnesota Opera and Seattle Opera; the role of Don Pizarro in Fidelio with The Metropolitan Opera, Santa Fe Opera, Seattle Opera, and Portland Opera; the title role of Macbeth with Minnesota Opera, Vancouver Opera, and Opera Lyra Ottawa; Wotan in Das Rheingold with Minnesota Opera; Captain Balstrode in Peter Grimes and Escamillo in Carmen with The Metropolitan Opera; the world première of Ashoka’s Dream as Canyka with Sante Fe Opera; the role of Mephistopheles in Faust with San Diego Opera, New Orleans Opera, and Arizona Opera; the role of Amonsaro in Aïda with Portland Opera; the role of Claggart in Billy Budd with Pittsburgh Opera and in his Los Angeles Opera début; and his much anticipated role début as the title role in Sweeney Todd with Vancouver Opera, which he recently reprised with New Orleans Opera and Glimmerglass Opera. Mr. Grimsley has enjoyed quite a fruitful career in highly esteemed opera houses around the world. Some highlights of his previous international engagements include Scarpia in Tosca in Germany with Deutsche Oper Berlin and Oper der Stadt Köln, in Oslo with Den Norske Opera, with the Stadttheatre Basel in Switzerland, and in Japan at the Hyogo Performing Arts Center; Don Pizarro in Fidelio with The Scottish Opera and Teatro Nacional de São Carlos in Portugal; the title role of Don Giovanni with the Stadttheatre Basel in Switzerland; New Israeli Opera as the Villians in Les Contes d’Hoffmann; Royal Danish Opera as Mandryka in Arabella; Ópera de Caracas in Venezuela as Amonsaro in Aïda; the role of Richard Lionheart in Der Templer und die Jüdin with Wexford Festival; and the role of Mephistopheles in Faust in Oviedo, Spain. Mr. Grimsley first came to international attention as Escamillo in the Peter Brook production of La Tragédie de Carmen, which he has sung in in over 15 productions around the world, including his Italian debuts at the Festival dei Due Mondi in Spoleto and the Teatro Comunale di Bologna. An active concert artist, some favorite concert engagements include Verdi’s Requiem with the Atlanta Symphony at Carnegie Hall; Beethoven’s Symphony No. 9 with the Seattle Symphony and San Antonio Symphony; the High Priest in Samson et Dalila with Washington Concert Opera and Atlanta Symphony; Scarpia in Tosca with Deborah Voight and the Minnesota Orchestra; and Don Pizarro in Fidelio with the Saint Louis Symphony and in his New York Philharmonic début with conductor Kurt Masur at the inaugural season of the Lincoln Center Festival.